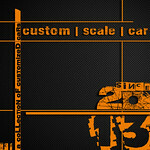 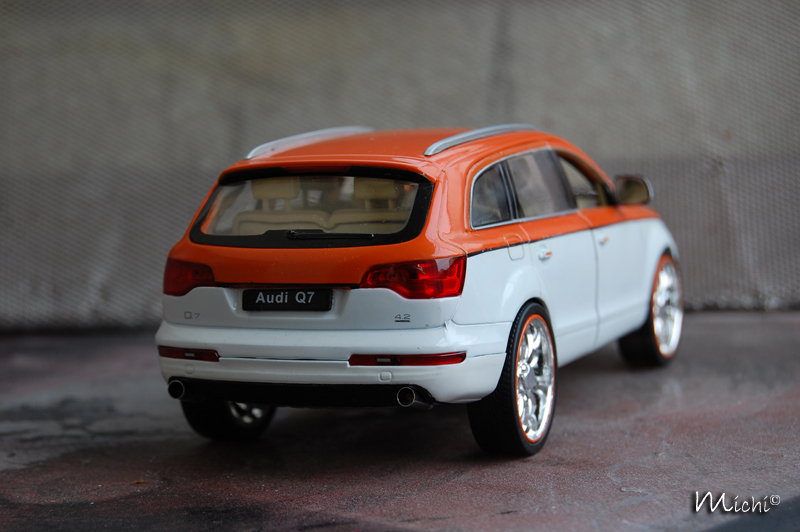 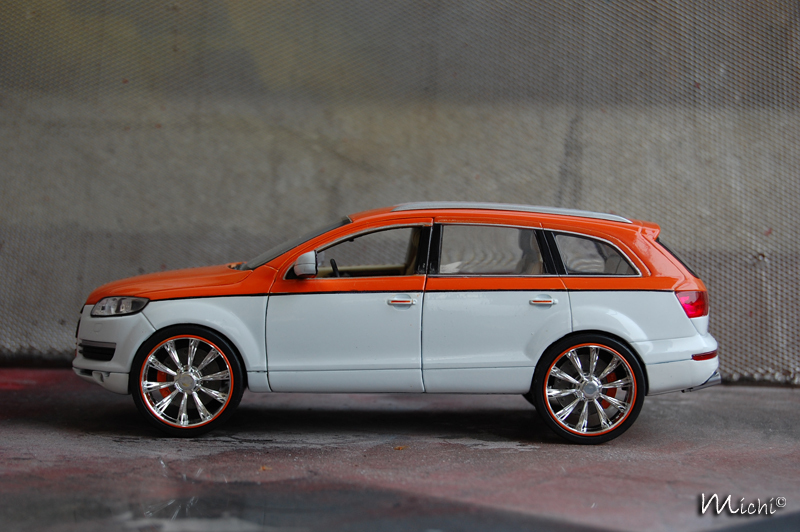 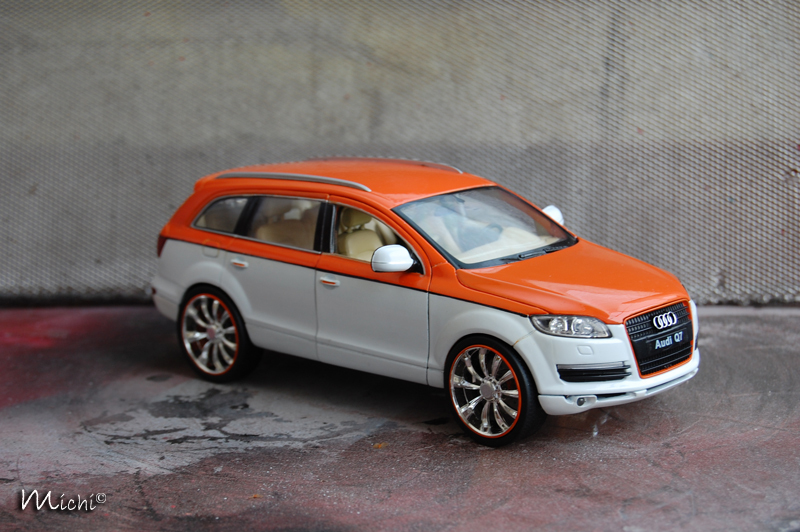 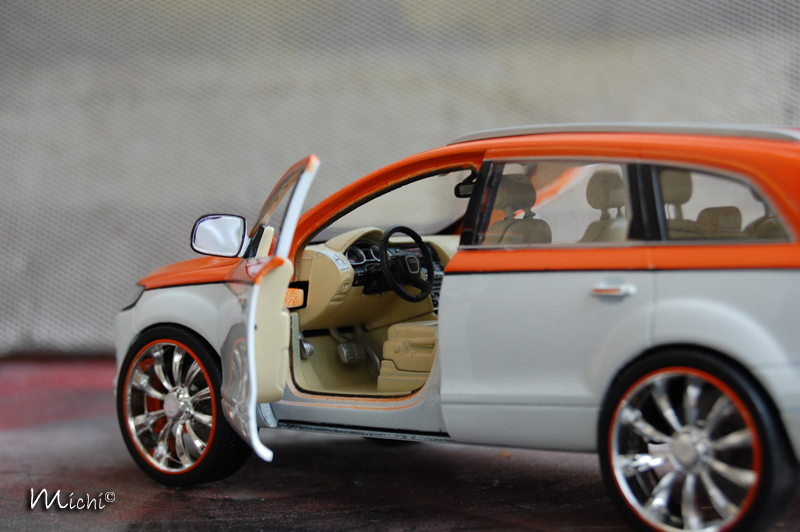 Several years ago, when I discovered the 1/24th scale Welly models, I felled in love with this big car: Audi Q7! 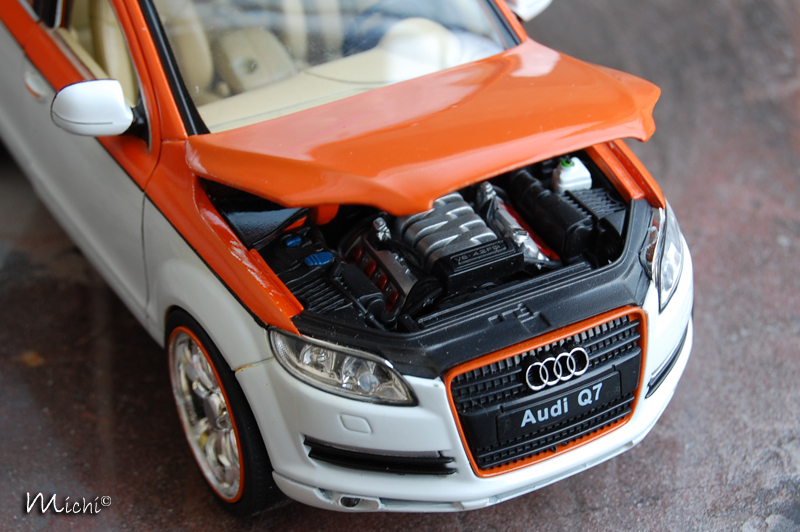 I bought it instantly and I put it on the work bench. 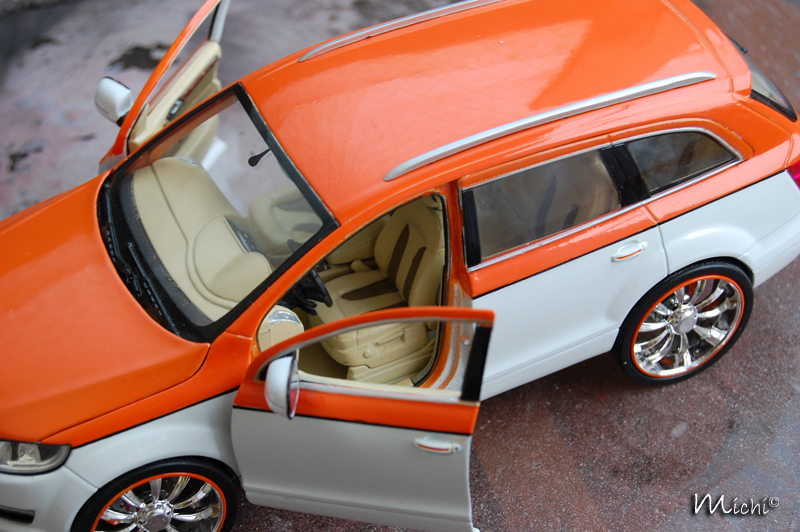 The treatment: California Look, so this means a flashy paint-job, big chromed rims and light colour leather for the interior.